Process - how to design a pinewood derby car featuring over 100 car design ideas. This guide takes you through the car design process and presents over 100 cool pinewood derby car design ideas with links to pictures and car plans with cut out templates that tell you how to build that car. Whether you are building a pinewood derby car for a Cub Scouts race, Awana Grand Prix, Kub Car, Royal Rangers, pinecar, powderpuff girls pinewood derby, or any other pine wood derby racing organization, the car blocks are all the same...you just need to start with a car design. Let's get started. Designing a cool car is one of the more fun parts of pinewood derby. You can design a creative, funny type of car or a super slick speed racer. I suggest letting your (or your child's) imagination work before narrowing down to something you can actually build. The guide below will take you through pinewood derby car design step-by-step. If you are building a car with a child, be sure to let them do as much as possible. The more they do, the more they will get out of it. The design stage is a great way to get them engaged in the project. Have fun brainstorming car designs. Let your child be creative coming up with car ideas before picking your final car design. Every year I always started our pinewood project by asking my son, "What is your design "theme" for this year?" (Aside from "Dad, let's make it fast"!). A theme got him thinking and usually helped me look for ideas in the area he was interested in. My son usually gave me simple design ideas like, a cool race car, an airplane, a shark, a pencil, a baseball bat, etc. One year he simply said, "I want a bubble on top". Another year he wanted grooves on the sides to "channel the airflow". Still another year he wanted a "tapered look so it was aerodynamic". Once again, it is important to incorporate the child's ideas into the car design so they feel good about it. Oh, don't worry too much about making a car design that is aerodynamic or fall into the trap of the ultimate car or the fastest pinewood derby car design. Pinewood Derby cars are not going fast enough, nor long enough for aerodynamics to affect speed in any way. It is far more important to have fun designing a cool car that you can call your own. 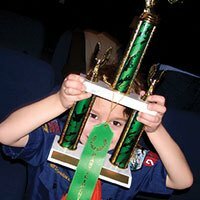 The most important speed factors are from polished axles, lubricants, wheels, weight placement and the other 40+ speed improvements you can find in Winning Pinewood Derby Secrets. Your child may want a military design, animal theme, cartoon theme, race car theme, or "something totally cool and different." The table below lists about 100 pinewood derby car design ideas that will help you select a design theme for your pine wood derby car. Something should jump out at you from this design list. If not, then e-mail me your car design and I'll add it to this list! Better yet, e-mail me a picture of your car and I'll add it to our picture gallery that features over 500 pinewood derby cars! Pinewood Pro has over 30 car design plans with templates and design patterns, 6 painting schemes, step-by-step 3D drawings, 360 degree animation, plus weight placement and speed hints. The cars designs below with links take you to the plan for that car. If you want to create pinewood derby car and add LEGO pieces to it, read our special Guide How to Design a LEGO Pinewood Derby Car. If you want to design a LEGO Derby Car made entirely out of LEGO parts to race on a pinewood derby track, read our free LEGO Derby Car Racing. Use Pinewood Pro's exclusive PRO Brick LEGO Derby Wheel Assembly, our custom designed Brick with Ultra-Lite Wheels and nickel-plated Axles that snaps onto any LEGO piece to create a LEGO Derby Car. To add weight to your LEGO Car for racing, simply snap on our exclusive Zinc Brick Weight because your LEGO car needs weight to go fast just like your pinewood derby car. 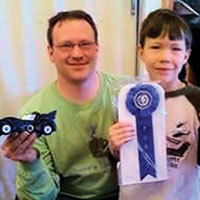 Glance through Pinewood Pro's Pinewood Derby Car Picture Gallery for car ideas. Or simply look for pictures of race cars, or even a cool car you might spot on the street or in parking lots. Lastly, our favorite place to get car ideas was my son's extensive collection of over 100 matchbox cars. Once you have settled on the car design theme it is time to draw your car. Drawing is fun and creative for a child. To get started, let them draw their idea freehand on a piece of paper. Next, put a pinewood block on a piece of paper and and trace it to get a side view outline, top view, front view and back view. This gives you an idea of what your pinewood derby car will look like from every angle. Pinewood Car Design - What NOT to do! Inevitably, my son would choose a design that was too complicated (eg, the Batmobile!) Unless you are a master craftsman (or real good with a dremel), your imagination can be much greater than what you can actually build. At this point you need to scale the design back to something you feel can be done in the time you have available. One alternative to save time is to purchase a pre-cut pine car that has lots of wood on it. Most of the cutting has already been done, like the stock car from pinewood pro, but you can still modify it to your custom design. When you have the final car design picked, you should again draw the top and side view on a piece of paper. You can then use this drawing as a template to cut the pine block. To create the cutting template, cut out the car design that you drew on paper, place it on the side of the pine block and trace it on the block. Do the same for both sides and the top of the block. You can then cut out your cool car design along the lines that you drew on the block. When you are done, ask your son or daughter to give their pinewood derby car an awesome knickname. Coming up with knicknames is fun and it is another way that they can personalize their car to make it their own. My son knicknamed his cars Tiger Claw, Neon Demon, Golden Retriever, and Silver Streak. If you don't want to start from scratch, the following will help you design your pine car faster. They are ordered from fast-easy-simple to do-it-yourself experts. 3. Get a car design plan guide Guides you though the car build process with step-by-step Illustrations in 3D rendered images. How-to build it yourself pinewood car design plans. Choose from The Inferno, The Flash, The Spider, Police Car, Green Hornet, and Star fighter, and over a dozen more! 4. 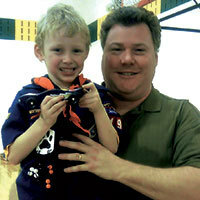 Winning Pinewood Derby Secrets, the #1 Best Seller! How to design your derby car for speed Contains a pinewood derby car design guide plus my complete list of over 40 winning speed secrets. Proven results with 1000's of winners. Consider combining the above options to save time. For example, you could save time by purchasing a car design plan (or pre-cut car) and putting your time into making your car go fast by following the tips in Winning Pinewood Derby Secrets. I hope this pinewood derby car design guide helps you. If you find yourself low on time, there are always Pre-built Cars available in our store. Looking for more cool car design ideas? Our free Pinewood Derby Car Design Guide has over 100 cool pinewood derby car design ideas. If you are using 3/8" round weights, drill your 3/8" weight holes before cutting out the rest of the car because it is easier to hold the full block. Always use a clamp to hold your block before drilling or cutting. Safety First! Looking for a pinewood derby car design template? 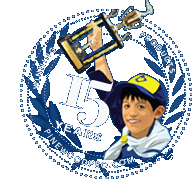 Select from over 30 of Pinewood Pro's award winning Pinewood Derby Car Designs. They include everything from race cars to Military cars to a Nike Sneaker!